Hone your Skills: If you are not yet an experienced navigator, or are unfamiliar with a new vessel, take the time to get familiar with the operating systems before departing. There are also a number of boating courses that can help you increase your expertise and comfort level before setting off on your own. Even veteran captains need refresher courses from time to time, and there is no shame in admitting that some of your boating knowledge may be slightly out of date. Mind the Weather: Find out what the forecast is before you decide to take the boat out on the water, and avoid trips in inclement weather. Make sure to mind the sky when out in open waters, so you can be ready for whatever Mother Nature throws your way. Weather patterns can change with little to no warning, and it would be unsafe for even an experienced navigator to be caught out in the middle of a lightning storm. Prepare your Passengers: Even if you intend to be the only person navigating, it is always a good idea to educate at least one of your passengers on the way the boat is controlled. In the event of your own injury or incapacitation, you will want at least one more person who can take the helm. Although this may seem overly cautious, it does not hurt to have a back-up if the unforeseen does indeed occur. Lifejackets: It may seem obvious, but most drownings occur because people choose not to wear life vests. Make sure you have enough lifejackets for everyone on board and they are all in good condition, and then encourage your passengers to wear them! It many places, having a life jacket available for every passenger is the law, so you risk citation if caught unprepared. Don’t Drink: Alcohol impairs your judgment and reduces your reflexes, so you will not be nearly as competent after imbibing. Many do not realize that the sun, the wind exposure, and the rocking of the boat can actually heighten the effects of alcohol, making you feel more intoxicated than you actually are. Ensure Passenger Competency: Prior to beginning your boating excursion, verify that all passengers aboard can swim. This is important in all situations, but becomes extremely vital if you will be in open ocean waters, where the risk of drowning in much greater. Common Sense: This is perhaps the most important recommendation of them all. Use common sense at all times. Make sure to stay within safe speed parameters, always stay alert, steer clear of large vessels or those with diminished visibility, and always utilize navigational aids if available. Please follow all the safe boating tips mentioned above. Although ideally, we would all have the means and resources to purchase a brand new boat right off of a dealer’s lot, this is not always the case in the real world. Buying a used boat is one way to save yourself a lot of money right off the bat, but it can come at a price that does not outweigh the benefit of the substantial savings. Similar to a car, a used boat will come with at least some degree of mechanical wear and tear. You will want to make sure that the boat has been maintained correctly to minimize these risks and ensure the safety of you and your passengers. You will also want to take into consideration the following three important guideline prior to making such a large and significant purchase such as a used boat. If you are not experienced and well-versed in the types of boats available, you will want to do some extensive research before you even begin shopping for a used boat. If you prefer to take it easy and let the winds dictate your path and course, then a sailboat may be a good fit. If you have the need for speed, a power boat is going to be a better option. You will also want something that can comfortably accommodate the passengers you intend to have. Maybe you prefer a solo cruise, in which case, something small may be just perfect. If, however, you plan on hosting your whole family, more room to spread out will be much more desirable. Test Cruise. It is so important that you have the opportunity to take the boat out on the water prior to making a commitment to buy. Although there is a lot of information that can be gathered by simply inspecting the boat on land, it is essential you also find out how it handles in water. This may seem obvious to some, but it is still important to note since many sellers won’t have the boat in water upon initial inspection. Study the Manufacturer. It is a good idea to do a little research into the information provided by the boat manufacturer, and also read some reviews of those who have similar vessels. Make sure to find out the weight recommendation and maximum number of occupants, so you can be sure that the watercraft will comfortably seat everyone in your party. If you intend to use the boat primarily to get from one location to another, filling it to a maximum capacity will probably be fine, but if you want to experience leisurely cruises, then you’ll relish additional space to move about to feel more comfortable. Finally, it is IMPERATIVE that you have the vessel inspected by a good maritime mechanic prior to making the commitment to buy. While aesthetically, everything may appear great, and it seems to handle well in the water, there could still be some additional issues that only a trained professional would be able to catch. Follow these three important guideline before buying a used boat. Ever wonder how we lift a yacht into a truck for transport? Check out how it’s done. 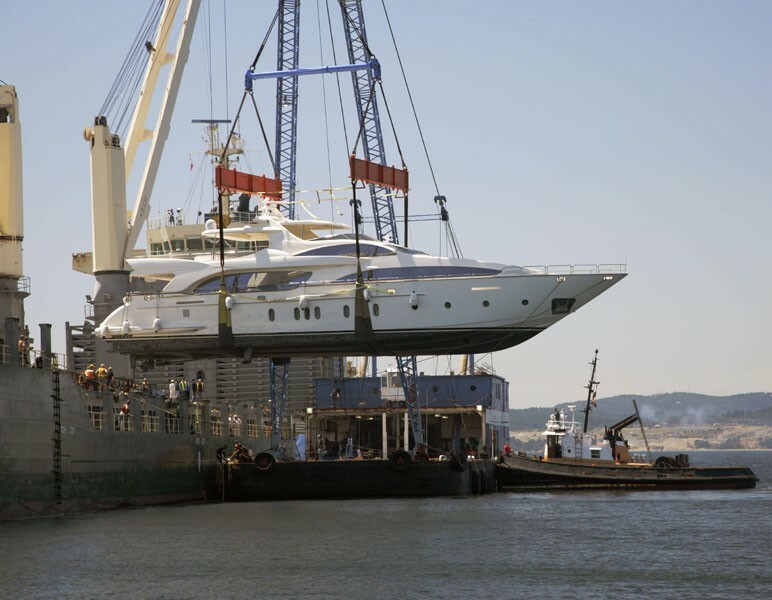 Many boat and yacht transporters will inundate customers with the complexity of the process to try and increase their perceived value. Sure, it’s a complicated process but it’s not rocket-science. We use an extensive network of partners and team members to get the work done but there is one key difference that makes it so much simpler: trust. Our global partners and domestic team members have a long relationship with us and know what we expect. They aren’t just anyone who is willing to help. They are hand-picked, trained, verified shippers who know what it takes to get the job done. In short, we trust them because we personally know them and picked them. 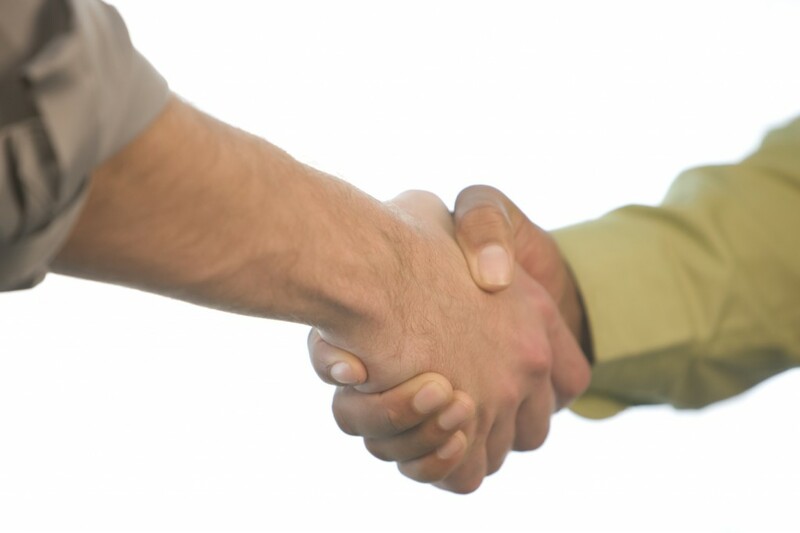 Our job is easier because we work within a network of time-tested trust and service. The kind of service that makes it simple for customers to believe in. You can trust that our team world-wide, is here to help get your boat from its origination to its destination without all of the complications that you’ll run into with other shippers. This is what sets our services apart, and this is what makes it simple. We had a busy day today, safely loading 5 yachts in one day! We service the Gulf Coast region for transport all over the Atlantic. We wanted to show pull back the curtain and show you some highlights from our busy day. Weighing an average of 4 tons, these yachts are some of the most valuable private vessels on the water. The only way to safely get them into a sea freight liner specially designed to transport marine vessels, is to use a 30 ton crane. These cranes could lift a few houses on your street all at once. As you can imagine, operating and coordinating this crane takes a crew of experienced professionals. Safety is king, and our highly skilled team makes it look easy. But don’t let looks deceive you, this is one of the most complicated operations on open water. Our team is aided by some of the best technology as well. Form lift monitoring equipment to, balance gauges, and electronic safety equipment, our lifting and shipping procedures employ the best that tech has to offer. Not to mention, when this yacht is being transported it is GPS tracked, camera monitored, and safely secured. Don’t just take our word for it. See for yourself. First time customers of our services usually refer their friends. In fact, if you’re reading this, it’s most likely because your friend told you about us. Our high quality transport services like this one speaks for themselves. Get your free quote today and we’ll be happy to guide you through the process.